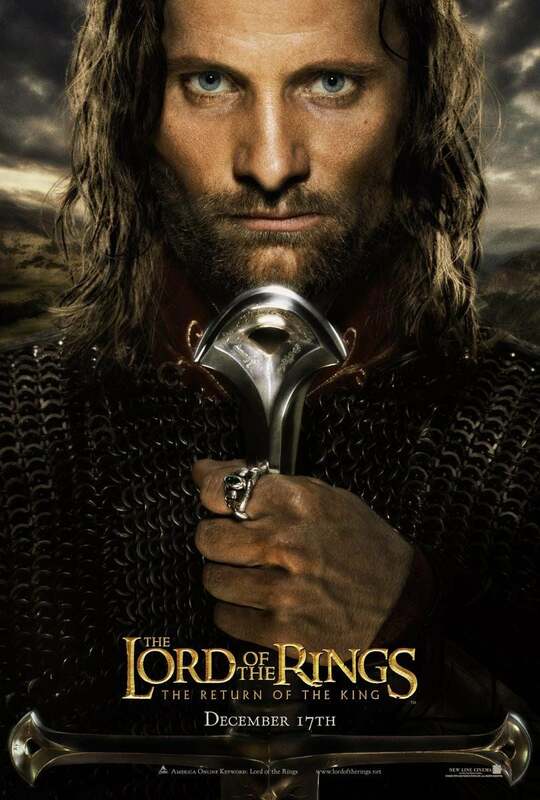 It was a double en plein at the awards for the third and final episode of the The Lord of the Rings saga -The Return of the King: four Golden Globe nominations, four wins; 11 Academy Award nominations, 11 wins, an unprecedented feat. The final confrontation between the forces of good and evil fighting for control of Middle-Earth, conquered everything and everybody; Hobbits Frodo (Elijah Wood) and faithful companion Sam (Sean Astin) reach Mordor in their quest to destroy the "one ring", while Aragorn (Viggo Mortensen) leads the forces of good against Sauron's evil army. Producer/writer/director Peter Jackson was to become a force to be reckoned with in the film world and pop-culture in general. The Lord of the Rings: The Return of the King, based on the second and third volumes by J.R.R. Tolkien, followed The Fellowship of the Ring (2001) and The Two Towers (2002). Jackson went on to create another successful (prequel) film trilogy, The Hobbit and, in between, he directed the 2005 remake of King Kong. At the 61st Golden Globe Awards, held on January 25, 2004, The Lord of the Rings: The Return of the King was pitted against Cold Mountain, Master and Commander: The Far Side of the World, Seabiscuit and Mystic River (for which Sean Penn won as Best Actor Drama). The Lord of the Rings III won the Globes for Picture – Drama, Best Director, Best Score (Howard Shore) and Song (“May It Be”, by Enya). It marked the second time in history that the third movie in a trilogy was nominated for Best Picture both by the Golden Globes and the Academy Awards, after The Godfather Part III (1990) and the only time that a third movie had won Best Picture in both awards. At the Globe ceremony, Leonardo Di Caprio presented the award for Best Film to Peter Jackson, who said: “Thank everybody for such a warm reception here on stage, and many thanks to Professor Tolkien for his incredible journey.” Lord of the Rings III was filmed entirely in New Zealand, in various locations, including Wellington and the FX house WETA, owned by Jackson. It took about $100 million to make and grossed over $1.2 billion worldwide in its theatrical release alone, one the highest grossing film of all time. The whole Lord of the Rings trilogy was a huge commercial success and made the fortune of U.S. distributor New Line Cinema.